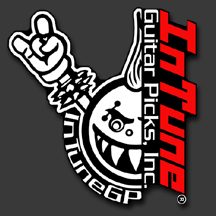 Guitar Pick Artwork Specs / Templates for InTune Guitar Picks, Inc. This page contains important order information. Click Here for Re-Order Instructions. 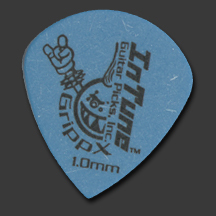 It is imperative that you remember how small a guitar pick is when creating your design. 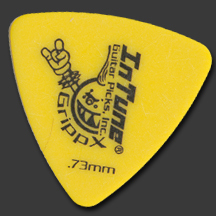 A good rule of thumb when designing your pick is if your image looks bad on your computer, it will look worse on your guitar pick. 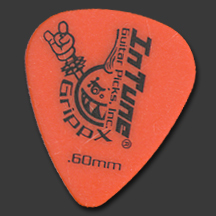 If you can barely read or cannot read the text when at actual size on your computer, you will not be able to read it on your guitar pick. 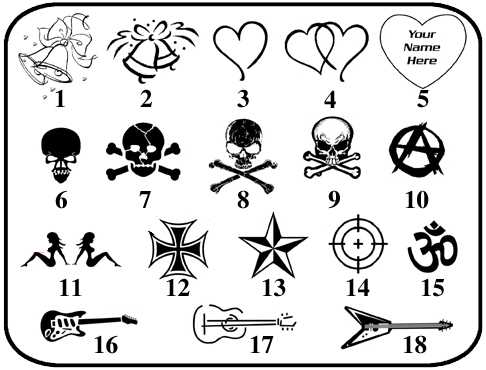 –Please note: These specification are required and will avoid rejection of your artwork. 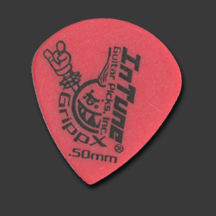 By following the specs, we can provide you with a quick and seamless process resulting in a high quality end product. -See this CMYK vs RGB link for more information on the CMYK color profile. FULL COLOR DISCLAIMER. 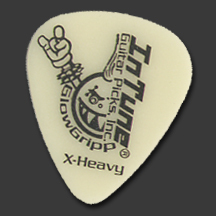 Custom Guitar Picks: We request 3 to 4 weeks to ship your custom guitar pick order. Although most orders ship much sooner, if you have a required in hands date, you should contact us prior to ordering to ensure we can meet your requirements. 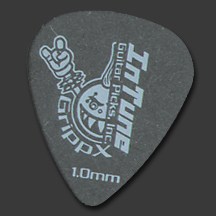 Large quantity orders may take longer and will be discussed with you at the time of purchase. 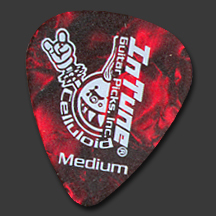 Custom Guitar Pick Tin Packages: We request 3 to 4 weeks to ship an average sized Custom Guitar Pick Tin package order. 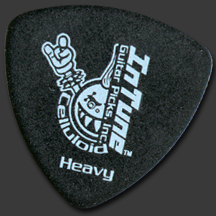 Larger quantity custom guitar pick tin packages will take longer and the timeframe will be discussed at the time of purchase. If you have a required in hands date, you should contact us prior to ordering to ensure we can meet your requirements. We are here to help, so don’t hesitate to contact us. Please do not alter this template in any way. You can include the number of your choice in the notes section during checkout. A proof will be provided prior to processing your order. 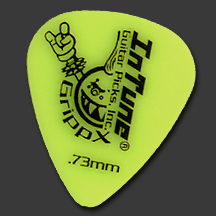 Turn your guitar picks into jewelry or key chains. 1/32: Thin earring post, 1/16: Necklace eyelet, 3/32: Ball chain (snug), 1/8: Ball chain (loose). You will have the opportunity to select hole drilling during the ordering process if interested.